Remember that cold April? I don’t think anyone does at this point. After the second coldest April on record, the transition to summer has gotten off to a sizzling start. 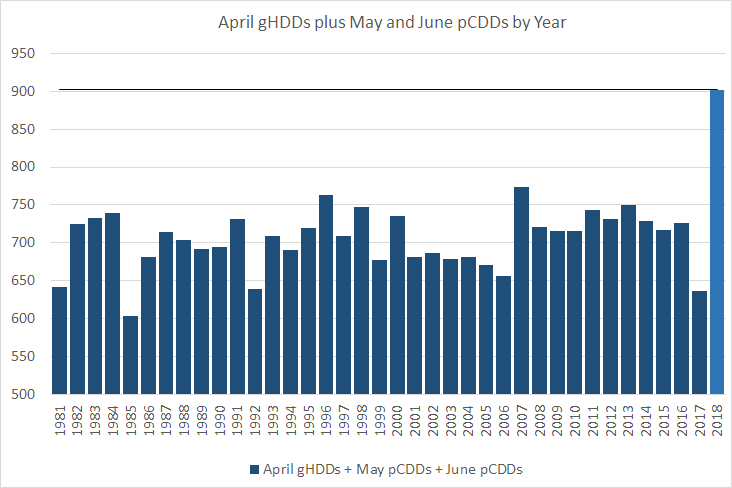 This image illustrates total gas-weighted HDDs from April combined with population-weighted CDDs from May and June. One of these years is not like the others. The temperatures over the past three months have allowed for increased demand and can be partially tied to the rising natural gas prices. Even with increased production, things could get interesting for the upcoming winter if summer temperatures continue at this intensity through August. 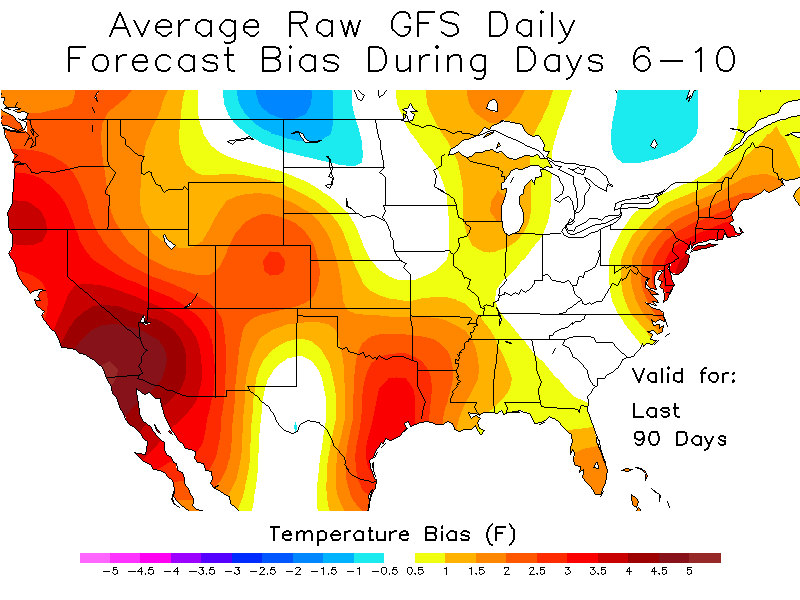 While temperatures will not be “historic,” temperature anomalies will range from 8-15 degrees above normal as we approach the hottest stretch of summer. Humidity will also be on the rise with dew points pushing into the 60s and 70s. This moisture will allow heat index values to creep above 100 for many of the cities listed above. To keep track of the ongoing summer heat and how temperatures could impact gas even heading into next winter, please sign up for a free trial of our of Frontier Weather service.